Thank you for visiting our site! James 2:17.org is a website created with the hope that those who visit will be inspired to go forth, get involved and thus impact the community they live in. The bible says that "we are God’s handiwork, created in Christ Jesus to do good works, which God prepared in advance for us to do." ​James 2:17 was the result of a conversation that took place in a Senior Community. The question was asked as to how a small group of Seniors could get more involved in the community. 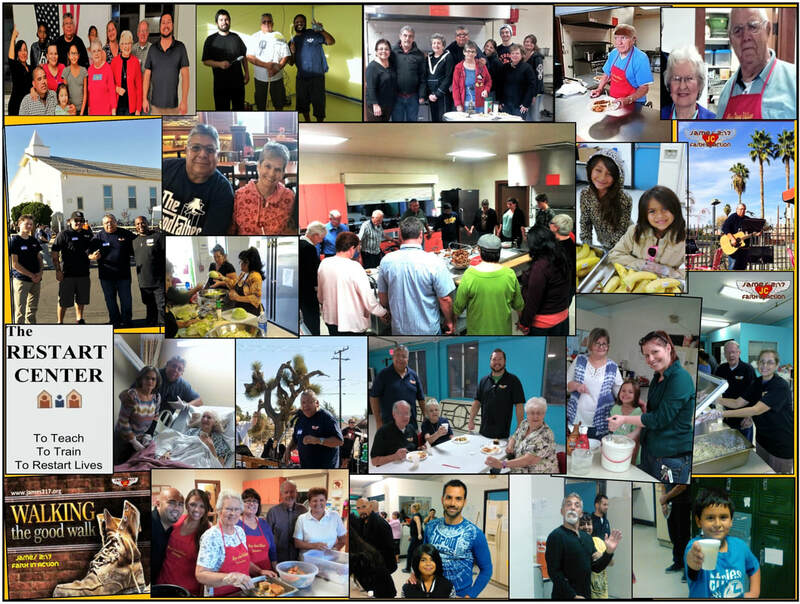 The Lord has led us for the last four years, to serve meals at a Soup Kitchen, Homeless Shelter, and had us partner up with "From the Lord Ministries" to put on outreaches. Please take some time and view the pages on our website and then let us know what you think. We really appreciate any input that you might have. If you are interested in any of our ministries or would like help in starting one please send me an email at info@james217.org. You can also get ahold of us through our contact form. We would also like to hear how you heard of us. ​If you are interested in learning more of what we do, please like us on our Facebook page. We are also in the process of developing a monthly Newsletter that we will be sending out, if you would like to receive our newsletter, let us know. God is good! ​May the Lord bless you and keep you. May He lead you into the ministry that He has for you.